Ernest Dominic Capers (born August 7, 1950) is an American football coach who is the defensive coordinator for the Green Bay Packers of the National Football League (NFL). Capers served as the head coach for the NFL's Carolina Panthers from 1995 to 1998 and for the Houston Texans from 2002 to 2005. He is the only person to serve two different NFL expansion teams as their inaugural head coach. After playing high school football for the Meadowbrook Colts in Byesville, Ohio, Capers attended Mount Union College in Alliance, Ohio where he played linebacker and defensive tackle. He is a brother of the Alpha Nu chapter of Alpha Tau Omega fraternity. He began his coaching career as a graduate assistant at Kent State University and the University of Washington. Later he was an assistant coach at Hawaii; San Jose State; University of California, Berkeley; Tennessee and Ohio State. After a stint in the USFL, he began his NFL career as an assistant with the New Orleans Saints and was named defensive coordinator of the Pittsburgh Steelers in 1992, including a trip to the AFC Championship game in 1994. He remained with the Steelers until becoming head coach of the expansion Carolina Panthers in 1995. After 1995's 7–9 season, a record breaking mark for an expansion team, the Panthers posted a 12–4 record in 1996 and advanced to the NFC Championship game, where they were defeated by the Green Bay Packers. This would end up being Capers' only winning season as a head coach, as well as the only season where his team qualified for the playoffs. Continuing to spend against the salary cap, and eventually taking control of personnel matters in 1997, the Panthers went 7–9, followed by a dismal 4–12 season in 1998, at the end of which he was terminated. After being let go from the Panthers, he served as an assistant with the Jacksonville Jaguars until becoming the head coach of the expansion Houston Texans on January 21, 2001. After starting out 4–12 (2002) and 5–11 (2003) in his first two seasons in Houston, the Texans posted a 7–9 mark in 2004. However, the Texans dropped to a record of 2–14 in 2005 and Capers was fired. Capers was known for his abilities as a defensive coach, and for his conservative play-calling on offense. Several TV announcers were known to predict Texans plays on occasion. He was also famous because he kept a 17-hour per day work schedule and sleeping just five hours per night, often on a couch in his office. 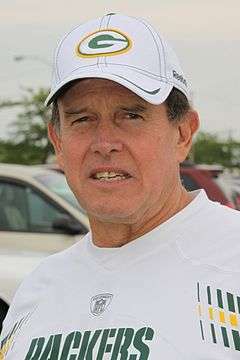 On January 23, 2006, the Miami Dolphins announced the hiring of Dom Capers as the team's defensive coordinator. There, he served as assistant head coach. With an annual salary of $2.6 million, Capers was the highest paid assistant coach in the NFL, alongside Washington Redskins assistant head coach Gregg Williams. On Thursday, January 3, 2008, Dom Capers was fired along with all offensive and defensive coaches. It was said that the new head coach may hire the assistants back. On January 29, 2008, Capers interviewed with the Dallas Cowboys for the vacant linebackers coach position. It is rumored that he was offered the defensive coordinator or defensive consultant position. On February 21, 2008, Capers was hired by the Patriots as their secondary coach/special assistant, replacing Joel Collier. On January 19, 2009, Capers was named the Green Bay Packers defensive coordinator by head coach Mike McCarthy and general manager Ted Thompson, where he replaced the 4-3 defense Green Bay has used since 1992 with the 3-4 he used in Miami. Green Bay's defensive ranking in his first year improved to second in the league in 2009, from 21st in the league in 2008. On September 12, 2010, Capers' defense finished the season ranked 2nd in scoring defense, 5th in total defense, 2nd in interceptions, 2nd in sacks, and 1st in opposing quarterback passer rating, in spite of being decimated by injuries during the 2010 season. On September 8th, 2011, Capers began the year where he would watch his defense finish in the bottom of the barrel after finishing 5th the prior year. Since 2011 his defensive rankings on yards per game have been ranked: 2011 - 32nd ranked defense, 2012 - 11th , 2013 - 25th, 2014 - 15th, 2015 - 15th and now 2016 - currently ranked 18th after giving up 4 straight games of 30 or more points. His points per game rankings are 2009 - 7th, 2010 - 2nd, 2011 - 19th, 2012 - 11, 2013 - 24th, 2014 - 13th, 2015 - 12th and 2016 - 28th (as of 11/21/2016). 12 4 0 .750 1st in NFC West 1 1 .500 Lost to Green Bay Packers in NFC Championship Game.